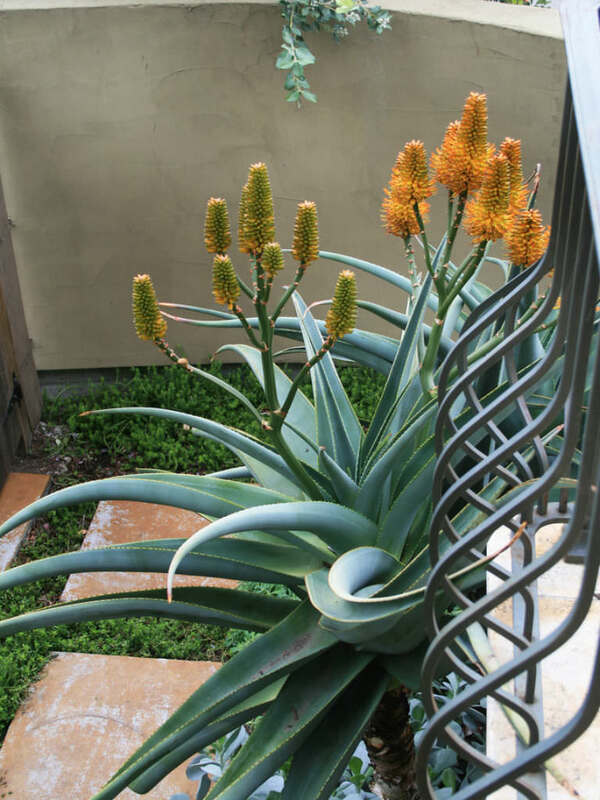 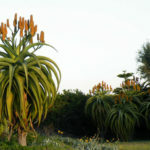 Aloe thraskii is an unbranched, tree-like succulent up to 10 feet (3 m) tall, with deeply concave (U-shaped in cross section), pale olive-green leaves that have small reddish-brown marginal teeth and are recurved back to the trunk, sometimes even touching the skirt of old, dried leaves around the trunk. 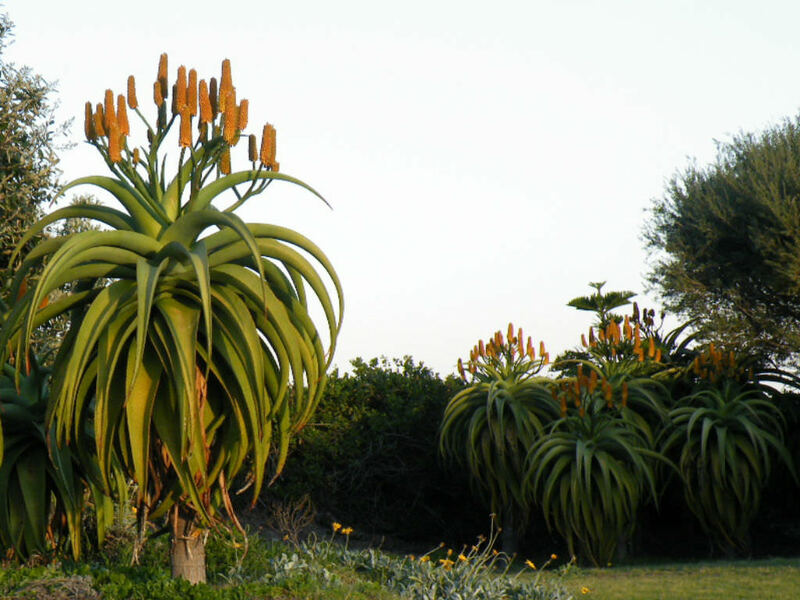 This winter-blooming species has flowers on a well-branched inflorescence that can produce 15 to 25 upright, broadly-cylindrical, erect racemes with yellow flowers that have orange anthers, giving the flower a bicolored look. 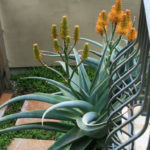 Younger plants may only produce a single inflorescences, while older ones can produce multiples. 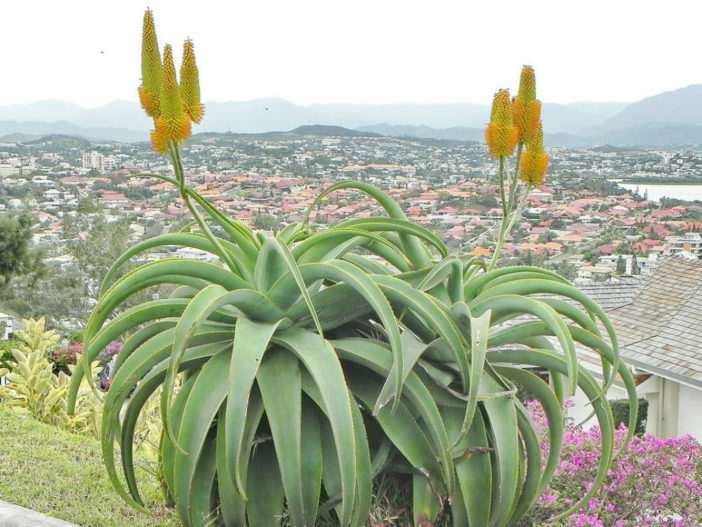 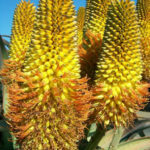 Aloe thraskii is closely related to Aloe excelsa and Aloe rupestris but is distinguished from both by its strongly recurved leaves. 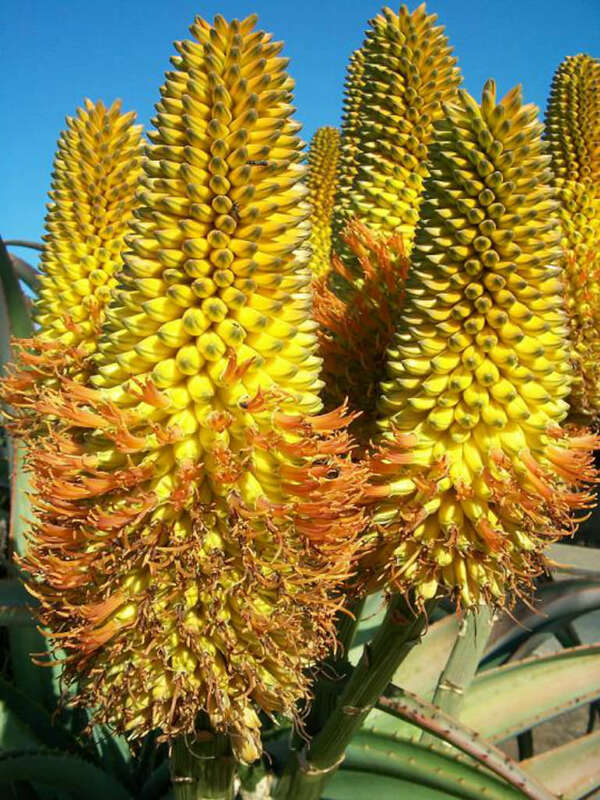 Aloe thraskii is native to South Africa.